Why Does My Cat Get Crazy At Night? Here’s a fun feline fact that cat owners are well aware of: Cats like to sleep–a lot. On average, our feline friends sleep about 16 hours per day. Some of these snoozes are just “cat naps,” or periods of light rest during which kitty is still fairly alert enough to quickly wake up and respond to outside stimuli. Then there are the deep slumbers that almost make it seem like your cat is in a comfortable coma. With all of this shuteye during the day, this begs the question: Are cats nocturnal? Clients visiting the Cat Clinic at Cherry Hill have asked us this quite a few times, and we’re happy to enlighten everyone on the subject! For the most part, domestic cats are not necessarily nocturnal–they are crepuscular, which means that dawn and dusk are their most active hours. Those of us who have feline housemates can attest that the same kitties we see zonked out on the couch all day are suddenly bouncing off the walls when we’re tucked in for the night! 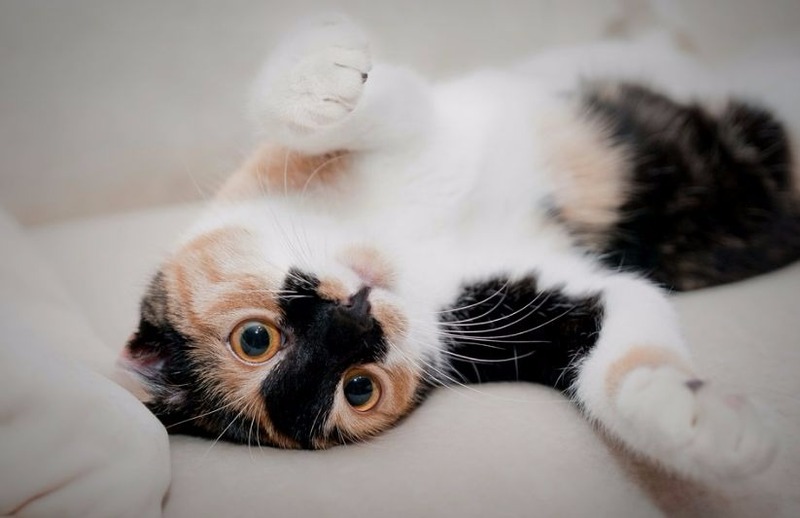 While it can certainly be amusing to hear your cat scampering from room to room as you lie in bed, some people find it a bit detrimental to their own sleeping schedule. We suggest taking some time during the day to play with your cat to allow them to expend some energy sooner rather than later in the night. “My experience started off great even before my visit. Shannon at the front desk worked so hard to fit my cat in as soon as possible. I appreciated all her efforts. Our actual visit was excellent. The doctor and tech were SO good with my Gracie that I couldn’t believe how well behaved she was. The doctor was thorough and took time to explain things to me. I can’t imagine taking her anywhere else now! So thankful for this awesome staff!” – Katie M.
Contact the office to set up an appointment, and don’t hesitate to call us at (856) 662-2662 if you have any pressing questions or concerns. Our clinic is located at 35 Haddonfield Road, Cherry Hill, New Jersey. We hope to see you and your feline family member soon!